What do you do if you see a spider in your house? You may try to smash it with a shoe, flush it down the toilet, or kindly relocate the spider outside. Or you may simply ignore it, thinking the life of a spider doesn’t last that long anyway. Below, we explore the lifespan of a common household spider. We discuss how long do spiders live, what spiderlings are and more. This information will help prepare you for the next time you see one in your home. Baby spiders hatch from a spider egg sac and are called spiderlings. An egg sac may contain as many as 1,000 spider eggs! Since spiders lay eggs, you will never see a pregnant spider, but you may see a spider carrying her egg sac on her back. In other instances, mama spiders will attach their egg sacs in crevices or sheltered areas. Spider eggs can hatch in just a few weeks if conditions are favorable (such as during spring or summer, when temperatures are warm and moisture is plentiful). Spider egg sacs may also “overwinter” or wait out the cooler weather in a dormant state before hatching. 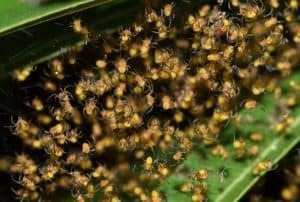 When spiderlings hatch, they look like miniature adult spiders with eight legs, a head and a body. They are usually black, brown, or grey and don’t have any distinctive colors or markings. Spiderlings are not dependent on their mothers and will often start life alone. As soon as they hatch, they leave their siblings, looking for a home to call their own. Spider life is a solitary life. Adult spiders do not live in groups or colonies. House spiders are not territorial or aggressive, but living alone gives them better chances of catching enough food without needing to share. 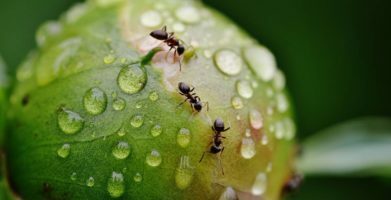 They don’t need to eat daily and can survive long periods of time without food, but they will eat often if food is abundant. Spiders do need to drink water from dew drops, condensation, or other sources like a dripping faucet, leaky appliance or pet bowl. Most of a spider’s time is spent waiting. Spiders wait patiently in their webs for a meal. 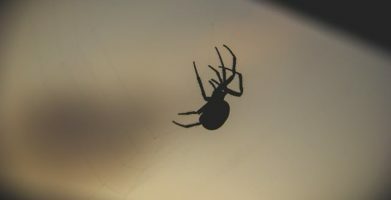 Spinning a web does not take much time or effort for the common house spider, so they will abandon a web that isn’t catching many bugs, moving on to another location. Ideal locations for spider webs are areas where other insects may be found such as near a light, door, window, food or water source. An average house spider may live for about a year. People are probably the biggest threat to a spider. Curious cats and dogs can also bring an abrupt end to the life of a spider. You can take steps to prevent spiders in your home, but if you do find one, you may not want to try waiting to outlive it. 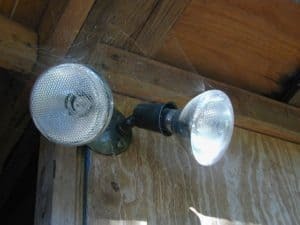 Learn more about household spiders and how to get rid of them by clicking below. string(58) "How Long Do Spiders Live - Exploring the Spider Life Cycle"